On your wedding day, timing is everything. First there might be a special wedding breakfast in the morning, then you race to get ready for the ceremony. There are pictures to be taken and posed for before the drinks reception begins. By now you are all starving so it’s onto the speeches and dinner, all this before you have a chance to grab a drink and relax. For the bride and groom the day is truly a non-stop affair. For the guests however, there always seem to be “dead spots”. The ceremony is over, and while the photos begin the bar fills up with friends from either side. People who don’t necessarily know each other, all stood around trying to start up conversation while nursing a glass of their favourite tipple. 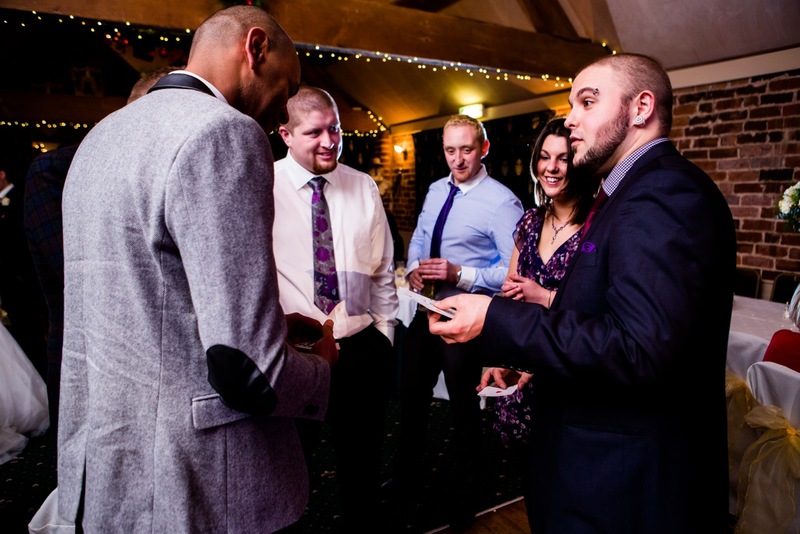 Why not bring a little magic into the mix and hire a professional wedding magician? Magic is a great way to break the ice, it’s a way to get people talking and interacting. It’s perfect for keeping your guests entertained during drinks receptions. While photos are being taken, between courses during the meal or even at the evening reception. 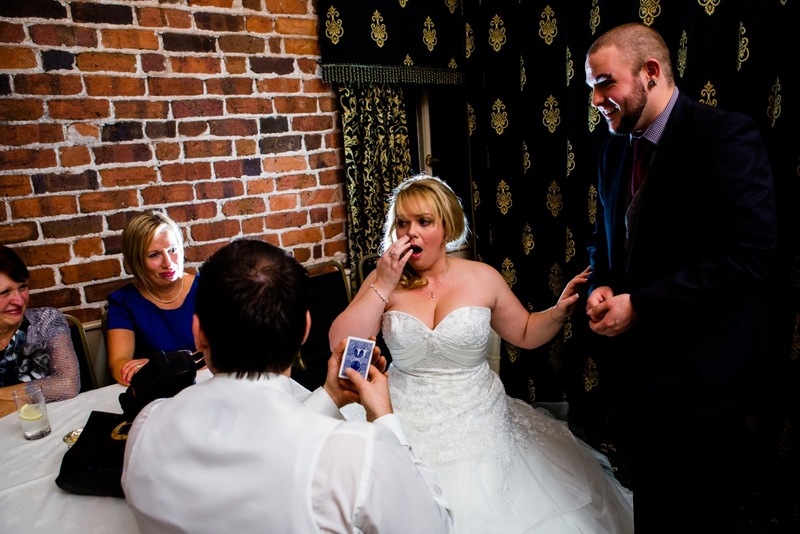 Hiring Adam to be your wedding magician can help to make your big day one which is truly memorable. With Adam the aim is not to fool but to entertain, not steal the spotlight but to help your wedding shine even brighter. The magic is close-up and intimate. No cameras or “trick photography” but an experience you and your guests are involved in from the very start. If you feel your wedding may benefit from a little hiring a wedding magician then please do not hesitate to get in touch, through either the contact page of the website, Phone or Facebook. We can spend time discussing exactly how to tailor the magic to your specific requirements. After all it’s your special day and I’m here to help it run a little smoother in any way I can.